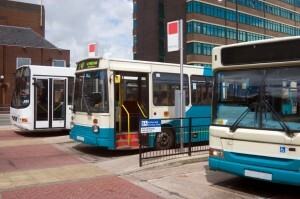 A survey across Merseyside has been produced courtesy of an independent consumer watch dog which revealed that around 89% of people who use the bus service across the county are completely content with level of service as a whole. Both Arriva and Stage Coach received satisfying percentage ratings towards their services, Arriva having an 86% satisfactory rating and Stage Coach having a humongous 92%. The average rating across the widespread area of Merseyside has been calculated at 88%. This has been pushed up 1% compared to last year. “These results are good news for bus passengers, operators and transport authorities in Merseyside. This improvement in bus passengers’ overall satisfaction demonstrates what can be done when bus operators and transport authorities use the survey results to identify improvements for their passengers never the less, there is still room for improvement". Altogether a gigantic number of 34,000 people from 19 areas across Merseyside participated in the survey, the biggest to be recorded in England focusing on one sector. Now you are aware of the quality of the bus service across Merseyside, would you be tempted to travel by bus more often?